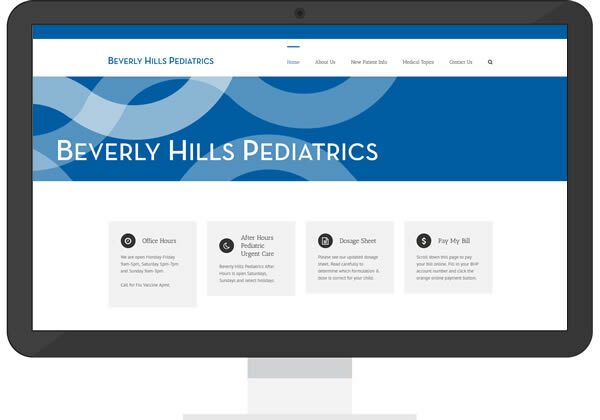 Beverly Hills Pediatrics, Scott Cohen, MD FAAP and Bess Raker, MD, FAAP worked with Sisson Media to create a simple, friendly website design. We also designed their business cards, appointment cards and patient forms. In 2013, we migrated the original custom design into a WordPress Framework for easy updates and more control of content. Congratulations to Dr. Scott for his first book named Eat, Sleep, Poop: A Complete Common Sense Guide to Your Baby’s First Year, published by Scribner, a division of Simon and Schuster in April, 2010.